Freshwater makes up 3 percent of the total water on the planet, with just over 1 percent available in liquid form. 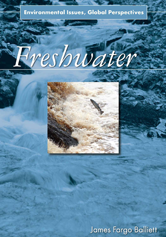 Freshwater tracks the complex history of the steady growth of humankind's water consumption. The world's increasing population has demanded more water for drinking and irrigation, and to support business and industry, while also increasing pollution of the same water resources. The case studies in Freshwater look at the efforts to protect and transport water within systems such as New York City; examine how growth has affected freshwater quality in the Lake Baikal region of eastern Russia; and study the success story of the privatized freshwater system in Santiago, Chile, among other relevant issues.